Floating plants for aquaria can either float at the water surface or in the water. For aquascaping, floating plants only play a marginal role. In aquaristics in general, they are quite popular, though, as they use superfluous nutrients very efficiently, which makes them great competitors for algae. Some fish species also prefer floating plants for spawning. These plants have conquered the water surface as their habitat. Typical floating plants enjoy three decisive advantages: they usually have contact with the surrounding air and therefore always have sufficient CO2, never suffer from water shortage and do not have to invest much in solid, stable tissue because they are carried by water. They multiply all the more rapidly in nutrient-rich water and in plenty of light. Floating plants have strong buoyancy because their tissue is spongy, containing many air chambers. They are swept around by wind and current, with their roots hanging freely in the water. This is why they spread rapidly and are most frequently found in wind-protected, quiet waters. Here they can form gigantic swim-carpets in short time. Such stocks and their root thicket provide habitat, cover and food for a variety of aquatic animals. They also contribute to water purification. Some species, such as the South American frog bite, Limnobium laevigatum, anchor themselves with their roots when the water is shallow enough, and thus also use the ground as a nutritional source. Floating plants need to be distinguished from floating-leaf plants, which root completely in the ground and only stretch their leaves to the surface, such as water lilies (Nymphaea), floatinghearts (Nymphoides) and Aponogeton robinsonii "Laos". The ferns Ceratopteris cornuta and C. thalictroides are allrounders, which can strike root as well as swim freely. 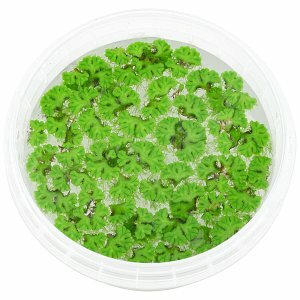 The Brazilian liverwort (Hydrocotyle leucocephala) can also flood at the surface like a floating plant. 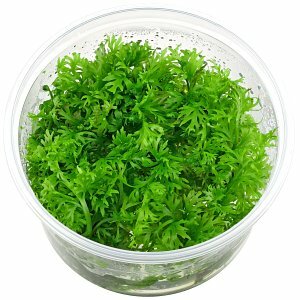 Underwater plants that drift freely below the water surface are often called floating plants by aquarists, even though they are rather "water hoverers". These include, for example, hornwort species (Ceratophyllum), various bladderworts (Utricularia) and the crystalwort (Riccia fluitans). Since the early days of freshwater aquaristics, floating plants have been used for aquariums. Breeders of fish and other aquarium animals appreciate them as cover for young animals and also as spawn-places; especially labyrinth-fish like to build their foam-nests inside floating plant stocks. 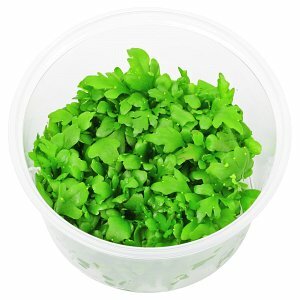 Floating plants also quickly remove excess nutrients from the water. 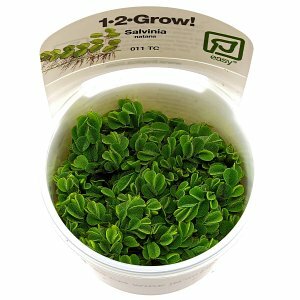 They go very well with biotope aquariums for animals from calm, weedy waters. 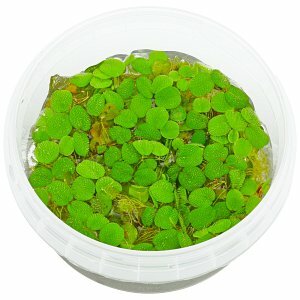 In our shop you can also buy floating plants online in in vitro cups. 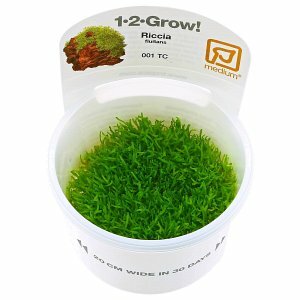 They are guaranteed to be free of pests, diseases, algae and duckweed. Floating plants look especially nice in open tanks. 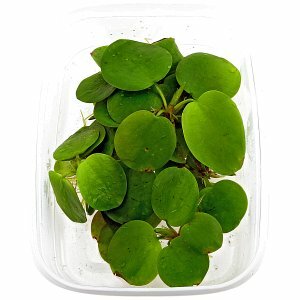 The ornamental foliages of the floating ferns (Salvinia and Azolla), as well as the floating spurge (Phyllanthus fluitans) will be proper eye-catchers. Also the frondy water roots of plants like the water cabbage (Pistia stratiotes) can reward with a decorative, natural impression. There is no need to worry about multiplying the floating plants; this happens all by itself through runners or shoots that break off the mother plant. Quite the contrary, the stock needs to be reduced occasionally before it conquers the entire surface. Especially in plant aquariums and aquascapes with aquatic plants in need of light, floating plants often cast too much shadow. When floatig plants grow poorly, nutrient deficiency is usually the cause. In aquariums with a cover pane, dripping condensation can cause the floating leaves to rot. 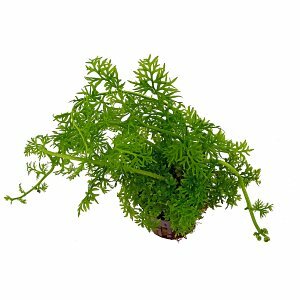 Tiny floating plants are duckweeds such as Lemna, Landoltia and Wolffia, which are usually brought unintentionally into the aquarium. They can get out of hand quickly and become a nuisance. How to deal with them is described in this article.